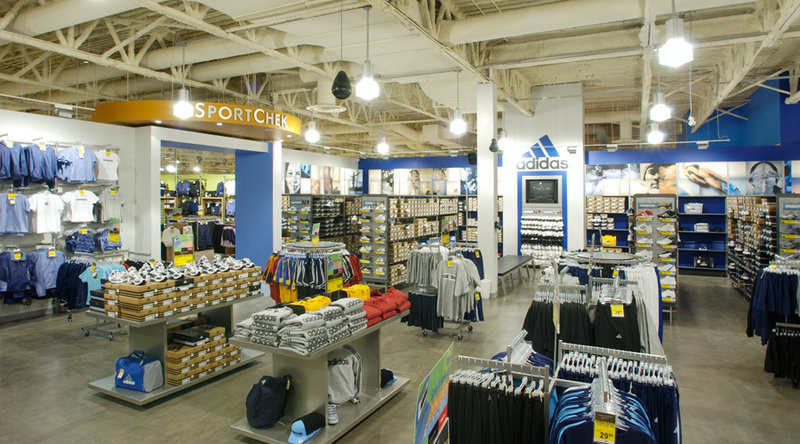 In 2002 Lighting Design Innvations began working with the athletic retailer Sport Chek to develop a new standard lighting design for their flag ship store. 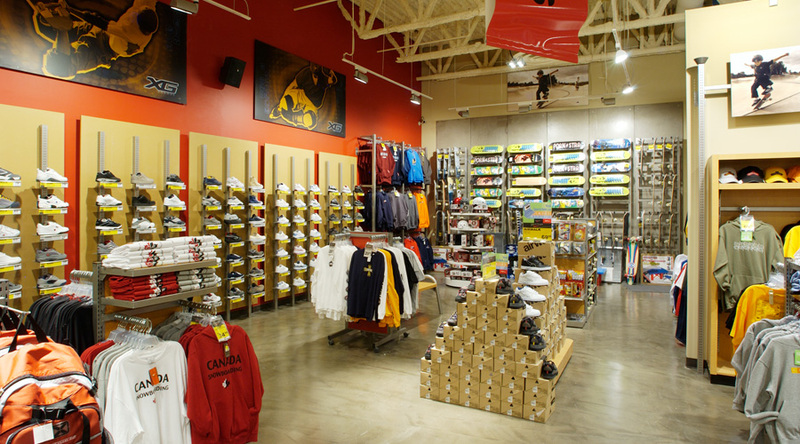 The goal was to come up with a design that could be applied to all of their new and existing stores. 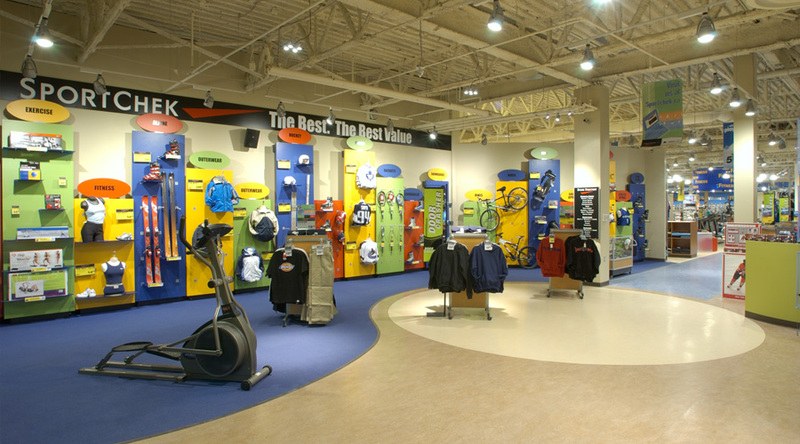 The concept was to create a more dramatic boutique style design in order to make the customer’s experience within the store a pleasant and secure one. Energy and life cycle costs convinced the owner to try a unique concept that would meet the budget and improve the contrast ratios on merchandise. The emerging technology of Ceramic Metal Halide (CMH) lamps allowed for high color rendering as well as high efficacy (lumens per watt). The lighting system was planned with the specific function of each department in mind and incorporated a level of flexibility for the seasonal and product changes that would occur throughout the year. CMH lamps were used for wall washing, ambient and task lighting, in addition to long life halogen lamps to simplify maintenance. In the end, the projects goals of improving contrast ratios, increasing vertical foot-candle levels, creating a pleasant visitor experience, and decreasing energy consumption were achieved. Through the use of CMH lamps, color rendering of the merchandise and departments improved, a vertical foot-candle uniformity ratio of 3:1 was achieved, and the vertical foot-candle levels increased 100%. Lamp replacement was cut in half, and power consumption decreased by 70%. 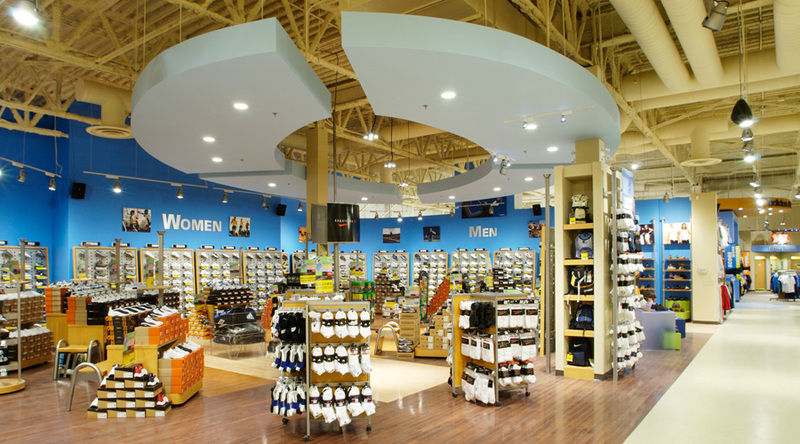 The owner applied the new lighting design criteria to more than 80 of their stores, nationwide and Sport Chek became one of the first retailers in Canada to utilize CMH lamp technology.